A continent of great diversities and vast geographical areas, on Friday 7th September in the Palms Hotel in Mauritius, the Annual General Meeting of the African Table Tennis Federation (ATTF) was held. The overall view from the gathering was to empower the five regions: Central, Eastern, Western, Southern and Northern. A total of 18 national associations attended the meeting at which three new executives were elected. Nigeria’s Olabanji Oladapo was elected Deputy President; Cameroon’s Alfred Bagueka Assobo, Executive Vice President for Administration and Congo Brazzaville’s Jean Marie Okouna in the role of Regional Vice President of Central African region. According to the Khaled El-Salhy, President of the African Table Tennis Federation, the ITTF Strategic Plan was universally approved. 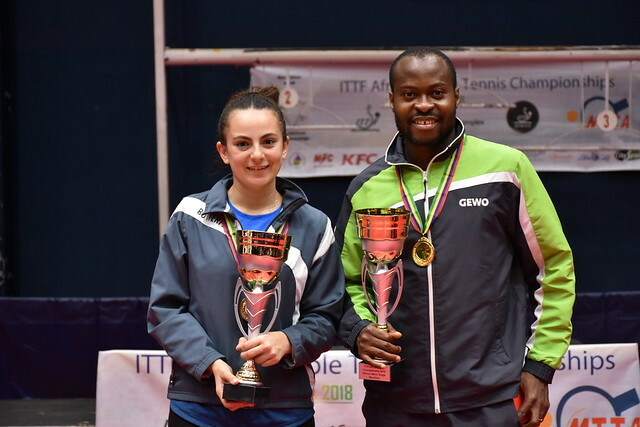 Positive thinking and a motivated group, especially following a vibrant Annual General Meeting and the Table Tennis for All, for Life Forum held jointly by the International Table Tennis Federation and African Table Tennis Federation earlier in the week.